Poughkeepsie, NY / Herndon, VA September 9, 2014 – After two solid performances last month at Sonoma Raceway, Dyson Racing Team Bentley is ready to sprint into Rounds 15 and 16 of the Pirelli World Challenge. The season finale double-header races take place at Miller Motorsports Park in Tooele, Utah on Friday, September 12 and Saturday, September 13. 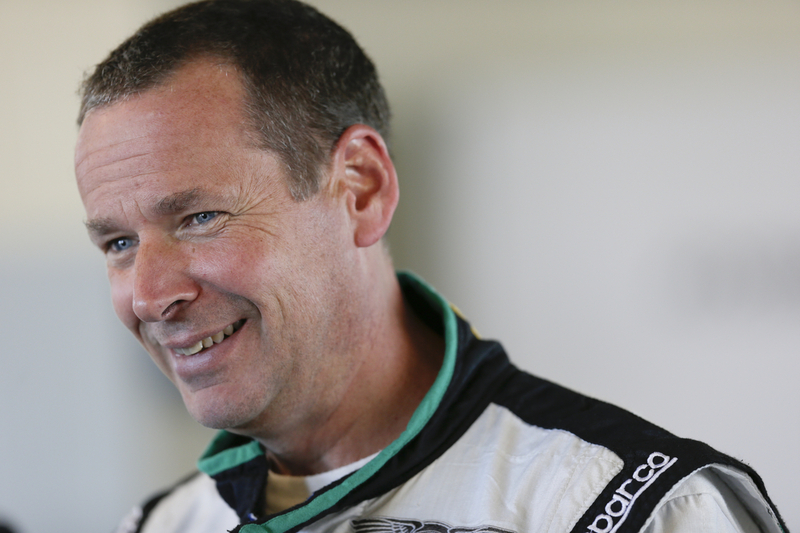 Sonoma Recap — Following his season debut in the Bentley Continental GT3 #88 at the Sonoma Raceway double-header, Guy Smith will again join teammate and fellow Bentley Boy Butch Leitzinger. Piloting his #08 Continental GT3, Leitzinger earned his first podium finish of the season – third place – in Round 13 at Sonoma. The finish followed the team’s best qualifying effort of the year, with Leitzinger and Smith setting the second- and third-fastest times of the qualifying session. Smith had a dramatic race, recovering from an opening lap spin before charging charge back through the field. He made up 30 places during the 50 minute sprint, setting the fastest lap of the race and earning a ninth-place finish. Smith’s fast lap in Saturday’s race earned him the pole position for Round 14, and Leitzinger’s performance placed him in fourth. However, a difficult getaway from the starting grid for Smith, and with Leitzinger caught up in an incident between two other racers, a podium finish wasn’t in the cards for either Bentley Boy. Leitzinger was awarded the ‘Move of the Race’ award after a daring pass of two fellow drivers during the 50 minute sprint. Smith again took fastest lap-honors and set a new track record while Leitzinger took second-fastest lap in the now proven Bentley racers. Continental GT3 – A Proven Racer — Also competing this season in the Blancpain Endurance Series, the GT3 has two first-place finishes to its credit. Its initial victory was scored at Silverstone in May followed by a second victory at Paul Ricard in June. In its most recent European competition, the GT3 proved itself as a 24-hour racer completing the Total 24 Hours of Spa race, with both entered cars fielding finishes in the top 20. The Blancpain series’ next endurance race is the Nürburgring 1000, September 19-21. Pirelli World Challenge — The Pirelli World Challenge completes its 25th-anniversary season at Miller Motorsports Park, September 12-13. Round 15 begins at 4:50 p.m. MDT Friday and Round 16 at 2:15 p.m. MDT Saturday. Dyson Racing Team Bentley’s performance can be followed via live stream at www.world-challengetv.com. The race can be seen Sunday, September 28 at 2:30 p.m. EDT on NBC Sports Network.